What a winter full of wet weather and cool temperatures! Although we haven't had our famous "Spring Training" weather yet, I think we can all appreciate the rainfall in our arid desert. Thank you to both the Maricopa County Department of Transportation and Flood Control District for keeping residents safe and roads clear of flooding this rainy season. I also want to thank the Maricopa County Parks and Recreation Department for keeping our trails safe as many areas, including Spur Cross, experienced heavy water flow. Click here for interesting rainfall accumulation resources. Below I have included information about our upcoming events, two transportation surveys, and a healthy living grant opportunity. Plus some highlights from out in the district. Please note that Breakfast on the Farm will take the place of our April County Coffee on April 3. RSVP by March 27th to lizfoster@azfb.org. Please include the number in your party. Many areas within our community are food insecure. In fact, hunger affects 1 in 4 kids. Help us combat hunger in our community by bringing needed food items. In addition, the Supervisor District collecting the most food poundage receives a special recognition. 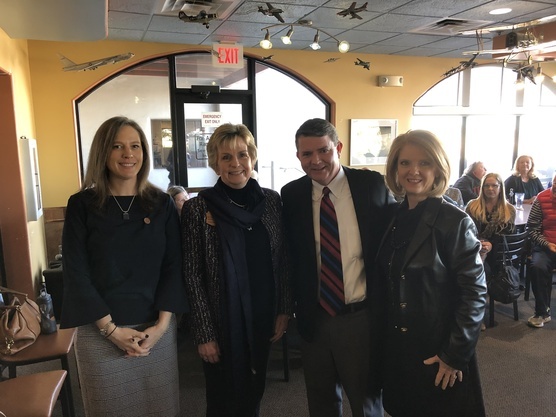 Chairman Gates at February County Coffee with our legislators. From left to right, Representative Shawnna Bolick LD20, Senator Kate Brophy McGee LD28, and Senator Heather Carter LD15. Click on the picture for a short video. This is your chance to shape the future of transportation in the region. The Maricopa Association of Governments is working on the next long-range transportation plan. We are asking you to help MAG create a regional plan that is based on the priorities and values of real residents. Will you help? The results will be used to help develop plans for future roads, freeways, public transit, bike and pedestrian improvements. The online survey will take approximately 10 minutes. Take the survey and MAG will give you a chance to win raffle prizes ranging from $100 gift cards to personal electronics, or even a $1,000 grand prize! The City of Phoenix Street Transportation Department is undertaking its largest pavement maintenance program yet. Between January 2019 and June 2023, more that 250 major-street miles will be repaved as a part of the accelerated pavement maintenance program. Public input may be provided by using the Interactive Street Map. For more information, see the Accelerated Maintenance Program Fact Sheet. 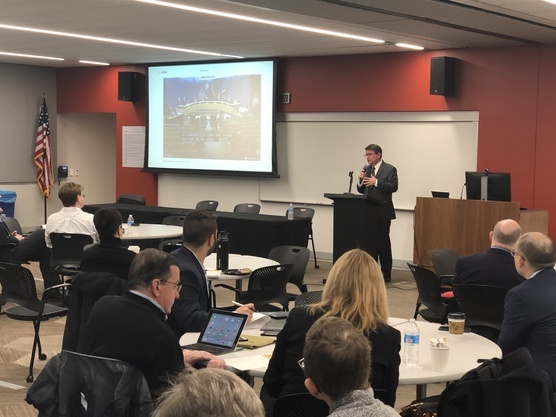 Chairman Gates gives a presentation on how Maricopa County is working towards becoming a tech-smart government at the American Bar Association's Smart Cities Conference at Sandra Day O'Connor College of Law. Maricopa County Department of Public Health (MCDPH) is offering a grant opportunity to support the opening of existing facilities in order to provide more spaces for play, recreation, and exercise, a practice that is referred to as “shared use.” We also encourage individuals and/or organizations that provide healthy eating and/or active living programming to have conversations with sites that have the potential to participate in this project, explore the development of a partnership, and consider applying jointly for the grant. Opportunities for physical activity and access to healthy food are essential for all ages and stages of life. By opening doors and expanding access to existing facilities we can improve health and well-being across the community and in places it is most needed. Maricopa County Department of Public Health (MCDPH) is offering grant funding up to $5000, per site, to increase the number of spaces in under-served areas, so those community residents can play, exercise, grow healthy food, and participate in nutrition related activities. Individuals and organizations that provide healthy eating or active living programming are encouraged to work with the potential sites listed above and consider applying jointly. Questions about the grant? 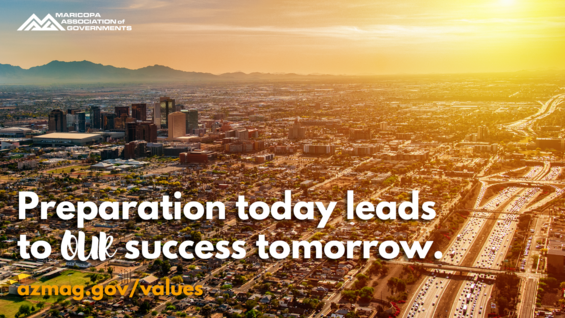 Contact Cheryl Rentscheler at Cheryl.rentscheler@maricopa.gov or (602) 506-6886. 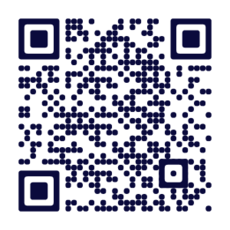 Check out eBooks and eAudiobooks anytime, anywhere! With our eMedia, you have access to hundreds of thousands of titles for all age groups and genres on your smartphone, tablet, or computer. 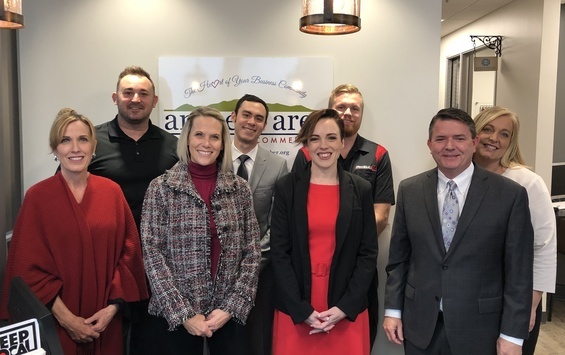 Chairman Gates spoke at the inaugural class of the Anthem Area Leadership Academy, a leadership program hosted by the Anthem Area Chamber of Commerce. The Maricopa County Parks Department, Arizona Native Plant Society, and Arizona Department of Agriculture have partnered to spread awareness of the Globe Chamomile flower. An invasive species with South African origins, the flower can be pretty to look at, but harmful to the soil it takes root in. To control the spread, removal must take place before plants go to seed in February. Multiple seasons of propagation and the flower begins to take firm root and becomes difficult to remove. 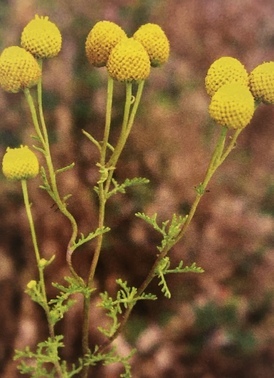 Globe Chamomile has spread from initial infestations in Northwest and North Phoenix into metropolitan Phoenix and is now spreading into Southern Arizona. To learn more about this invasive species and how to control the spread visit the online brochure or reach out to either agency above. 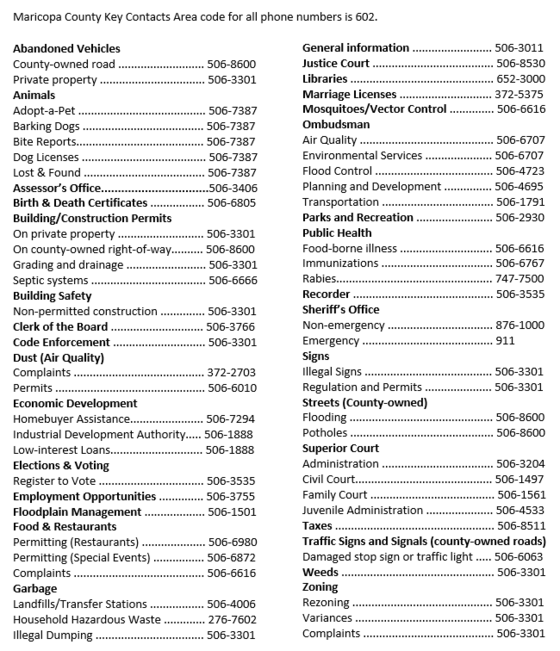 Below is a contact list for Maricopa County constituent services. Please note: Bold services are available to all Maricopa County residents. Services that are not in bold are specific to residents of unincorporated County. Those who live in cities or towns should contact their local jurisdiction for assistance with the non-bolded services.